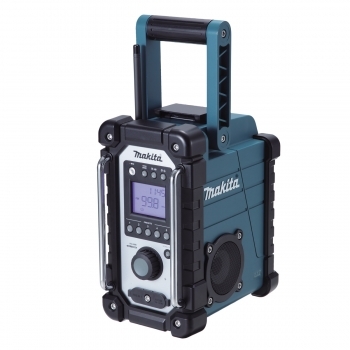 The Makita BMR102 is the replacement for the popular BMR100 radio. The BMR102 has several advantages over its predecessor including the ability to accept 7.2 and 10.8v li-ion batteries. It also has distinctive elastomer bumpers and silver coloured front control panel.